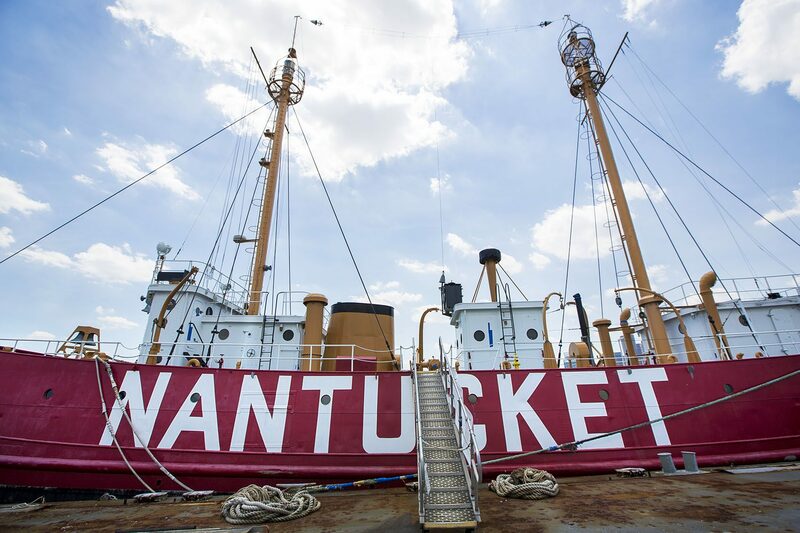 The 150-foot Nantucket Lightship is docked in East Boston and painted bright red with the name "NANTUCKET" in big white letters on its side. The ship is a floating memorial of sorts, recalling a time before modern navigation devices, like GPS, made ocean travel much less dangerous. 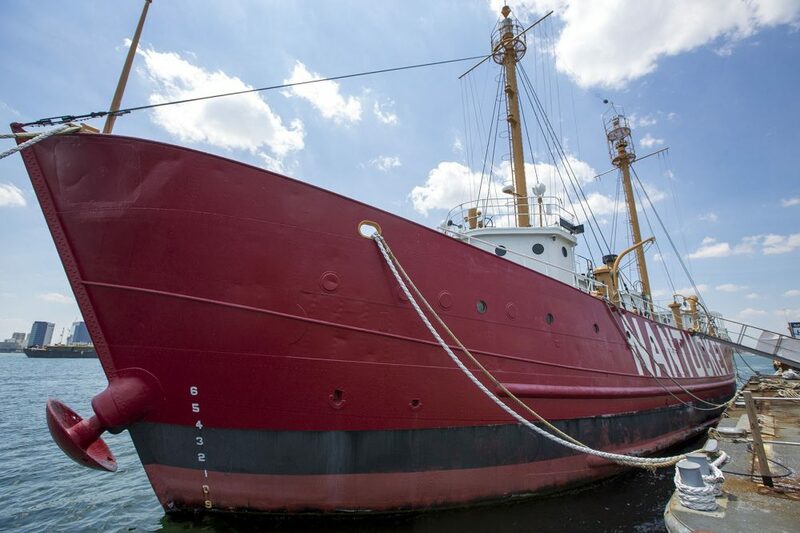 According to Robert Mannino, president of the U.S. Lightship Museum, which owns the Nantucket Lightship in Boston, a lightship is a floating lighthouse. "They put them where it was impractical to build a permanent lighthouse structure," he said. 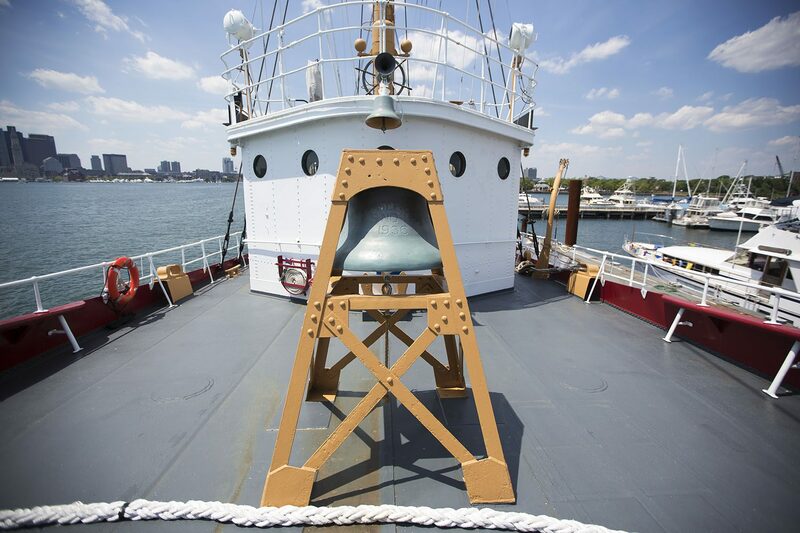 From 1936 until it was decommissioned in 1975, this vessel and its U.S. Coast Guard crew were stationed 100 miles off the Massachusetts coast, where its powerful beacon and foghorn helped guide ships through the Nantucket shoals, a perilous stretch of shallow sandbars. "And the shoals themselves get as shallow as three feet and sometimes break the surface. In fact that area of the Atlantic is known as one of the graveyards of the Atlantic," Mannino said. "Over 700 shipwrecks have occurred on the shoals. So, they put a lightship out there in 1854." The first lightships were wooden sailing vessels that used whale oil to light their beacons. They would stay out for weeks at a time — through fog, storms, even hurricanes — lighting a safe way home or out to sea for passing ships. It was dangerous work for those old ships. Approaching vessels would steer right toward them, but in the fog, there was always a risk that they wouldn't see them in time to avoid hitting them. So if an approaching ship came within a mile, a loud alarm would sound. The sound meant "prepare to abandon ship," Mannino said. "And that happened a few times. Some of the former crew members would say, 'I remember being able to almost spit on a ship.' You get a ship like the SS United States come by or something, and it would be pretty scary." 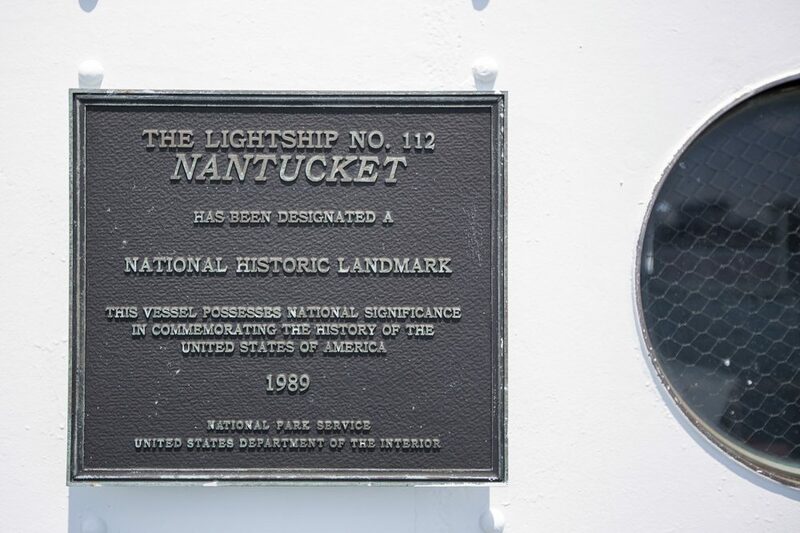 In fact, he says the predecessor of this vessel met a tragic end on the Nantucket shoals, known as the most remote and treacherous lightship station in the world. "So what would happen, you know before they had radar, the ships would be cutting through the fog," he said. The Titanic had a sister ship called the RMS Olympic, Mannino explained. It was foggy one night and the ship couldn't turn in time, so it hit the lightship and "almost cut it in half." The lightship sank and seven of the 11 crew members died. "As a result, the British government paid reparations to the families and they paid to have this particular lightship built. Because of the nature of that station, they wanted to build something that was virtually unsinkable and withstand the rough conditions." That resulted in the Nantucket Lightship — the largest lightship ever built in the U.S.
"It's double hulled, it's got double plating on it. And it's got like 43 watertight compartments so if it was ever split in half, or hit, or compromised, it would still float." This lightship was never hit, but it did survive a number of near misses and at least two hurricanes, Mannino said. In 1954, Hurricane Edna, packing 100 mile an hour winds and 80-foot seas, slammed into the Nantucket Lightship. "Anchor chain broke, a rogue wave came, hit the ship with such force it buckled some of the hull plates, smashed through the portholes on the bridge and tore off the wheel on the helm station. Shorted out all the electrical panels. Completely shut the ship down. ... They had no power whatsoever, so the danger was ... that the ship would broach and turn over. So what happened was when they got the ship powered up again, they couldn't steer it because the rudder was so badly bent from the force of the seas." The crew finally got the auxiliary anchor down and rode out the storm, he said. Then it was towed back to Boston for repairs. 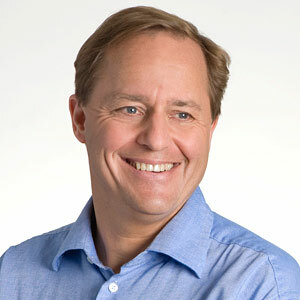 "That was a rough place out there," said Peter Brunk. "You rocked and rolled. And I mean, just rocking and rolling." 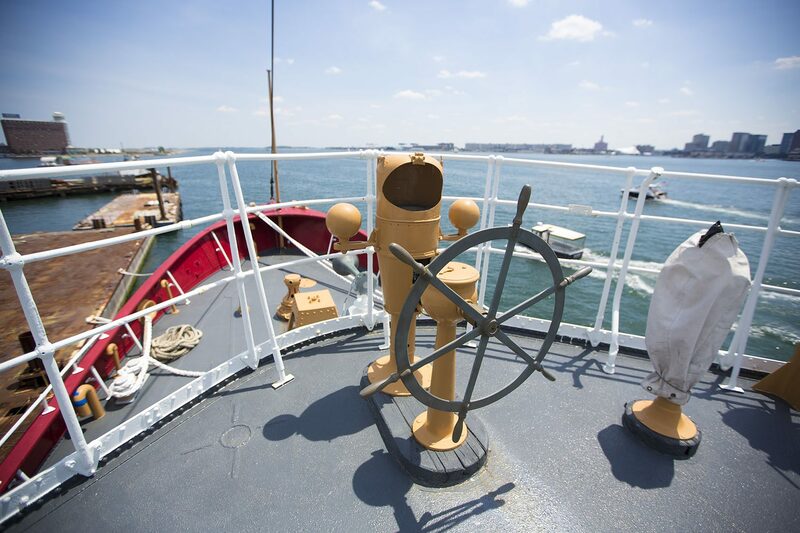 As a young Coast Guard captain back in 1970, Brunk did a lot of rocking and rolling aboard the Nantucket Lightship. He says he and his crew spent three weeks on the ship and three weeks off in Boston. And what he remembers most were the rough sees, 90-foot waves, the fog and the constant fear of getting hit by an approaching ship. "Every trip, we had four or five times, we'd have everyone get life jackets on, get the small boat ready ... and just get ready to get hit. The ship would come and ... sometimes you could hear them and you couldn't even see them it was so foggy," Brunk said. "I've seen us blow the horn for 14 days and 14 nights — couldn't see nothing. And in the wintertime it was snowing all the time." Today, restoration work continues on the Nantucket Lightship, but the vessel was almost lost forever. After it was decommissioned in 1975, it fell into disrepair and sat idle for years, and was ready for the scrapyard until Mannino set up a nonprofit to buy it for $1. Now, he continues to raise money to restore and preserve this piece of maritime history. "I've always considered myself somewhat of a preservation activist," Mannino said. "Just something about the lure of the sea that keeps me fascinated and plus it's more than a piece of steel. It's got kind of a soul to it. A vessel like this helped save lives and the people that served on this vessel put their lives at risk — they're heroes." The Nantucket Lightship became known as the "Statue of Liberty of the Sea" because it was the first sign of America that many immigrants would see as they approached the East Coast. Today, it's open to the public and last August, its powerful beacon lit up and shined over Boston Harbor for the first time in 40 years. Correction: An earlier version of this story said the lightship was decommissioned in 1974, not 1975. We regret the error. This segment aired on July 7, 2016.